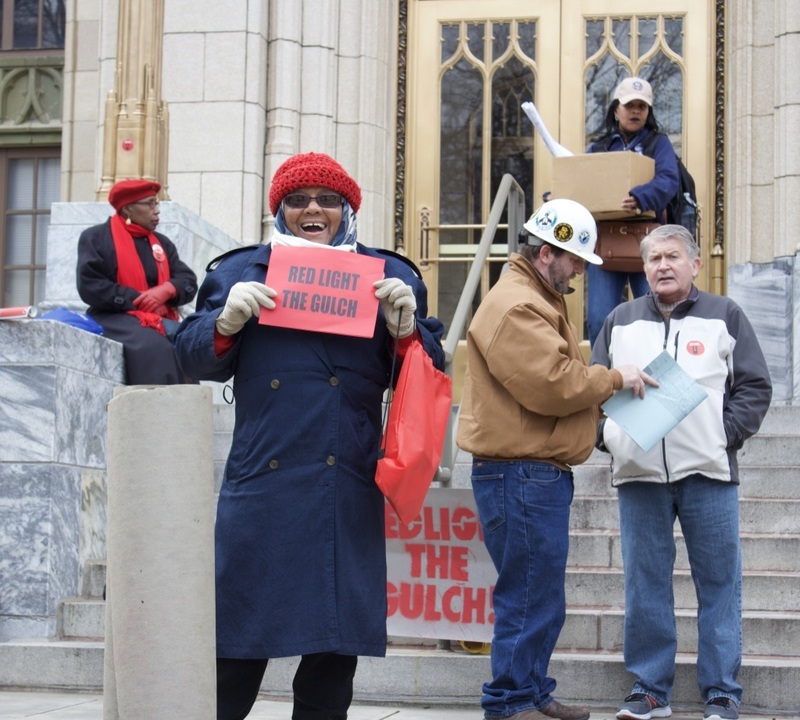 Today on the steps of Atlanta's city hall organized labor joined community groups on the Birthday of Martin Luther King Jr to appeal to the Mayor and other city leaders who often invoke the name of Dr King but pursue policies and projects(Like the Gulch project) that continue to widen the gap between rich and poor in Atlanta. United Union of Roofers, Waterproofers and Allied Workers, Local 136, Unite Here, and Teamsters local 728. Our Communities can no longer survive this approach to development that sees our city leaders cutting billion dollar welfare checks to the super rich to develop luxury developments with little to no affordable housing, community benefits, and workforce agreements. 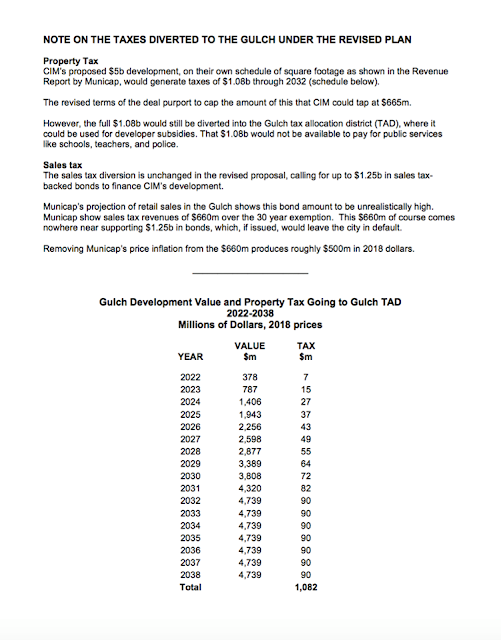 The money we are spending on the Gulch isn't monopoly money, it's real, which means public funds are being diverted from other public needs in order to help billionaire Slum lords from LA(CIM group) to build a city within a city. CIM will own the sidewalks and the streets. Where is that money coming from? 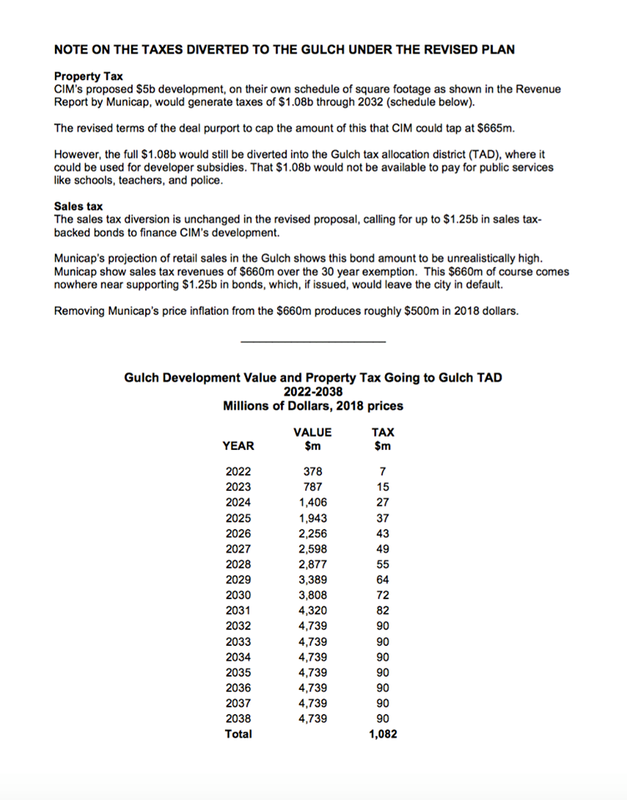 A very large chunk(over 500 million) will come from a Tax Allocation District(TAD) that would otherwise go to our already struggling public schools in Atlanta. The cruel irony is that we are being forced to pay for our own gentrification through projects like the Gulch. 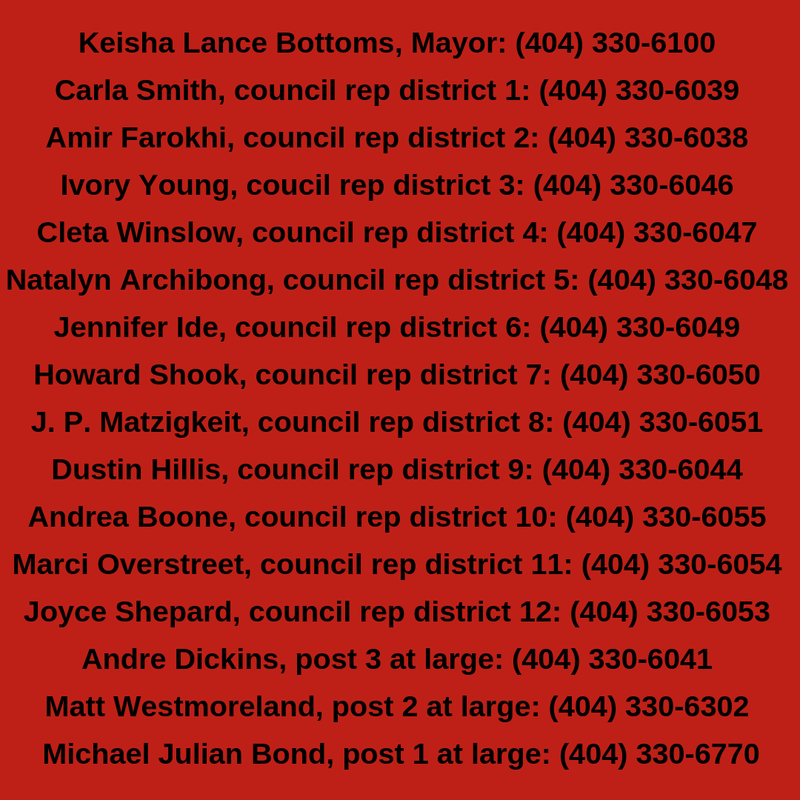 What adds insult to injury is the fact that our current Mayor, Keisha Lance Bottoms made a promise to the community when she was running for mayor. She committed to support legally binding community benefits agreements between developers and the communities they seek to profit off of whenever public funds were involved. It would appear that she was either lying, or that she very quickly changed her mind after winning the election. 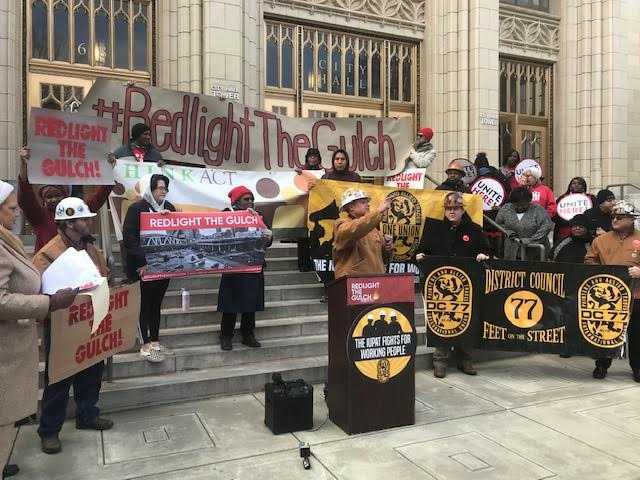 Tomorrow at 9am at the Fulton County Superior Court in courtroom 9G the Redlight the Gulch coalition goes back to court. Members of the Coalition have intervened on the bond validation process in order to get in the way of this 2 billion dollar welfare check set to help fund the luxury development. The legal fight is likely to go to appeal and the Redlight the Gulch coalition is raising money through crowdsourcing to cover the hefty legal costs. Norfolk Southern’s CEO says that unless his company can make a big profit on its land in the Gulch, it will not consolidate staff from Norfolk, VA to Atlanta. There is no justification for throwing a Gulch public subsidy — variously put at $1.9 billion and $1.44 billion — at an 850-job move. The typical incentive from the City for that number of jobs is $850,000 to $2.5 million. That’s Million with an M, not Billion with a B. Some companies do not choose to extract any incentives when moving to the city. 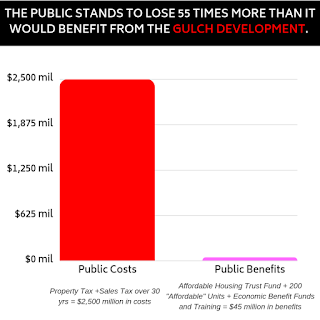 The public cost of the Gulch scheme is on the order of one thousand times the incentive justified for the Norfolk Southern jobs. By contrast, Blackrock announced last week that they are creating 1,000 new jobs in the city. They did not require billions in subsidy. Like Atlanta residents, they were also unfazed by the Gulch. Like all the other companies moving to and expanding in Atlanta over this decade, Blackrock is coming for our talent, our universities, our airport and our standard of living. We also remind residents that Norfolk Southern did Atlanta no favors when they sold their stretch of the future Beltline to a developer for $25m, which forced the city to $65m — vastly more than if Norfolk had waited and sold it to the city directly. We call upon Council Members to resist absurd last-minute arguments and bullying. 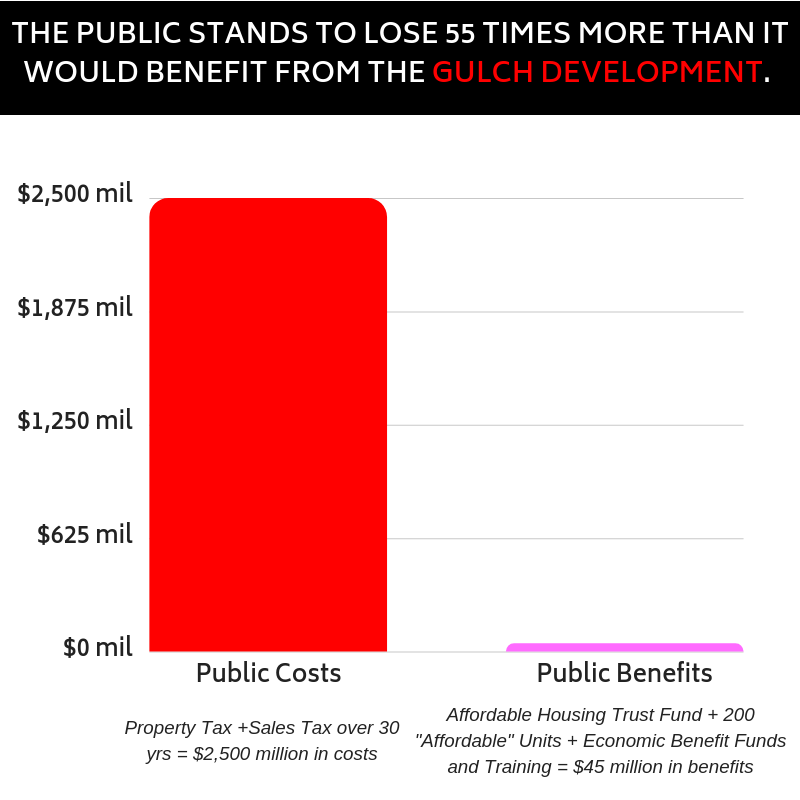 The Gulch scheme would squander future revenues desperately needed to run our city and schools, and to support housing affordability. Redlight the Gulch on November 5! URGENT ACTION: Redlight The Gulch! URGENT ACTION: This Monday City Council will vote to approve or deny the Gulch development plan and we need to show up in force to demand that they VOTE NO! Join us for a #RedlightTheGulch rally before the vote. 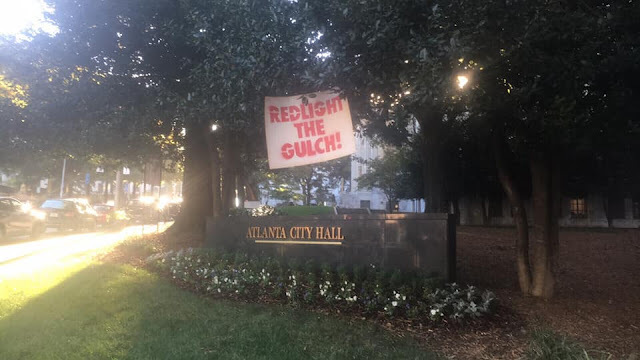 Then we will pack the house at the City Council meeting and make our message clear: we must redlight the Gulch! The proposed Gulch development would be a MAJOR loss to our communities: Mayor Bottoms wants to sell part of downtown Atlanta to billionaire developers who are known slumlords in Los Angeles. The public would lose at least $1.9 billion in taxes only to receive $100 million at most back in benefits, at most. Plus, there would be ZERO public ownership. The City has felt our pressure and made a few changes to the deal, but it's not enough. As the vote on the deal approaches, we need to apply pressure now more than ever. 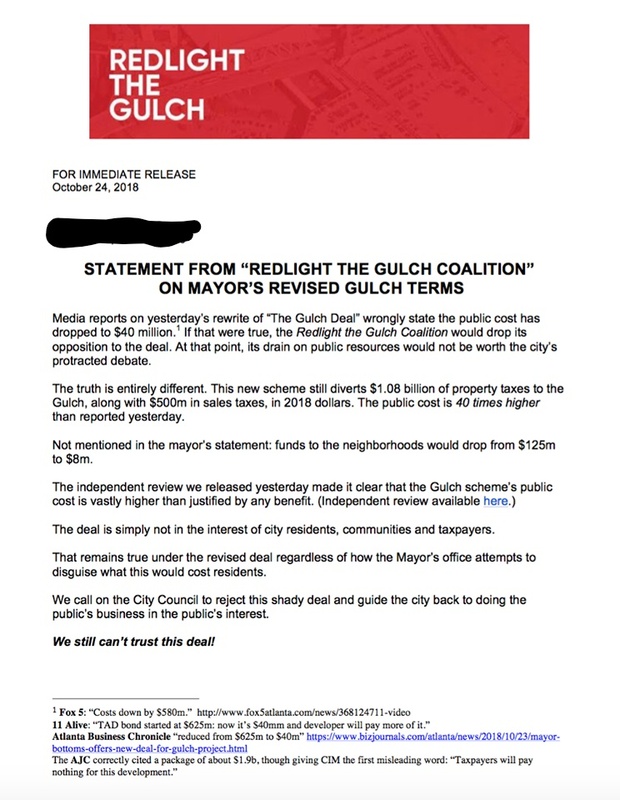 Learn more about the #RedlightTheGulch campaign here. Want to take action before the vote on Monday? 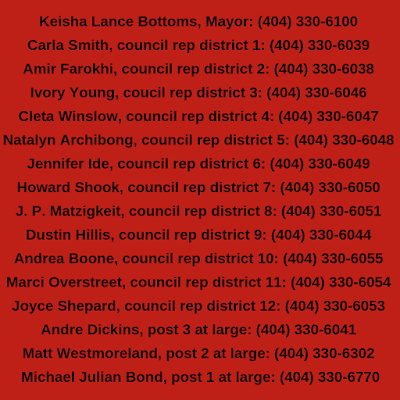 Call City Council members and demand they #RedlightTheGulch. Suggested Script: "Hello, I am an Atlanta resident and I am urging you to VOTE NO on the Gulch development plan this Monday. The plan would be a HUGE loss to residents and prioritizes billionaire developers over the people of Atlanta. Thank you." Tak Action: Housing Justice League will be holding a community canvass to educate Atlanta residents this Saturday at 12:30pm. Click here for details.